Malaysia has been really hot these few days and what better way to cool off the heat than ice cream? Unlike what most people would think, New Zealand Ice cream does not serve Gelato but premium ice cream instead. They also serve fresh juices, waffles, pastries and coffees as well. A rather humble and warm environment. Not too cramped with furniture, ample walking space. 100% Fresh blend of juices and smoothies which weren't too sweet nor diluted. Not to mention a variety of mix such as Carrot Breeze (carrot + watermelon), Green Fields (celery + green apple), Summer Passion (passionfruit puree + passionfruit sorbet) and many more. My favourite pick would be the Passion Cooler which comprises of Passionfruit Puree and Lychee. Its sweet, sour and really refreshing after a hot day. A selection of Dilmah's Moroccan Mint Green Tea, Natural Rosehip & Hibiscus, and Pure Chamomile Flower tea! A great compliment to all the sweet stuff we're having. Simple, direct and delicious. A mix of fluffy and consistent doughnut (without a hole in the middle) along with a scoop of Cookies n' Cream. What's not to love? Cripsy Belgian waffles served with Strawberry (or an ice cream of your choice) ice cream, fresh sliced strawberries and topped with almond flakes, honey and chocolate sauce. I did enjoy the combination, however, I wished the almonds flakes weren't sprinkled too much. I believe this was my favourite. The mango sorbet was really good both in terms of the smoothness of texture and flavour. Not to mention it was pretty rich as well. The additional mango pudding, chocolate waffle stick, and sliced fruits along with the New Zealand Natural tag was all edible; which was nice. A fat and plump banana sliced in half, served with 3 scoops of ice cream; Chocolate Ecstasy, Boysenberry Dream and Vanilla Classic topped with chocolate syrup. A classic indeed. However, I did find the chocolate ecstasy to be a little on the sweet side. Rich, chocolatey and fluffy triple chocolate muffin. Even after cutting it apart, there was melted chocolate oozing out from its core. For chocolate or sweet toothers, I highly recommend that. The wild blueberry muffin on the other hand was a little more subtle. 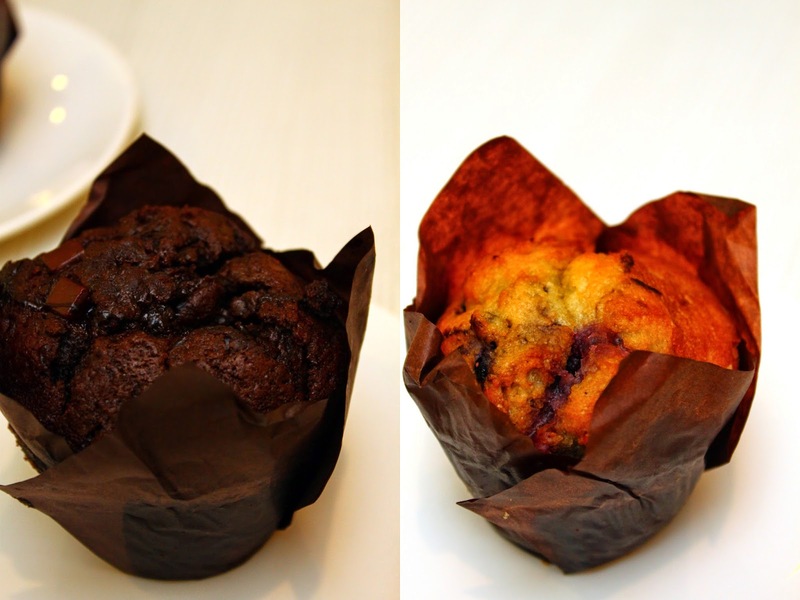 A tinge of blueberry here and there with rich, buttery muffin. Despite not loving sweet stuff, my vote goes to the Triple Chocolate Muffin. Soft dough cookie that is rich in flavour and texture. Loved the fact that they use white chocolate bits for the chunky double chocolate cookie instead of a convention chocolate chip. Of course, New Zealand Natural wouldn't be New Zealand Natural without its premium ice cream. With more than 20 available flavours, which includes the famous D24 is to die for. Rich, aromatic and smooth are only few of the traits of its premium ice cream. Besides that, its Affogato flavour was pretty good as well. 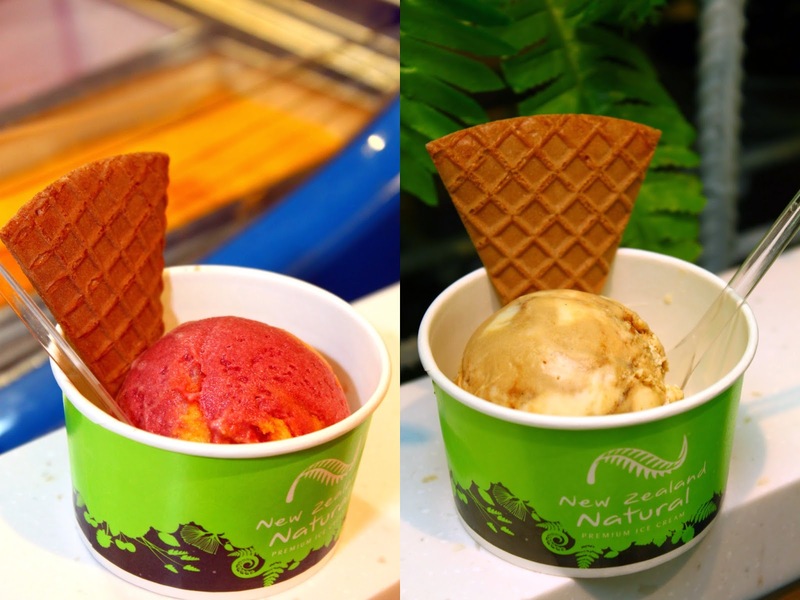 New Zealand Natural Premium Ice Cream comes in either a cup or cone. They also have tubs for sale, priced at RM24.90 for regular and RM39.90 for large. Last but not least, New Zealand Natural also has a flavour-of-the-day promotion. Each scoop will only cost RM3.90! That is at least 3 bucks cheaper!